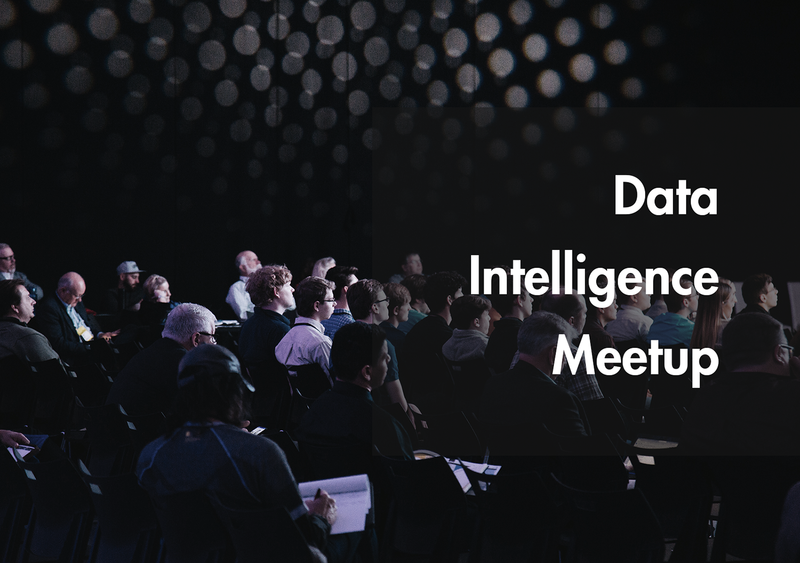 We have come to another very interesting topic in a series of articles revealing one-by-one the essence of talks presented during M-AI summit 2018 which was hosted by Develandoo Innovation Lab. 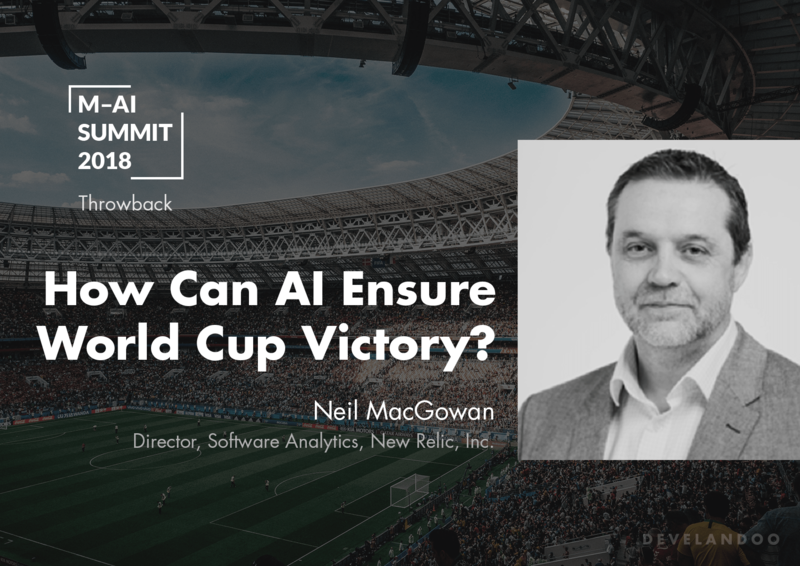 Meet Neil MacGowan, speaking on how AI can ensure World Cup victory as well as using applied intelligence to deliver business results. 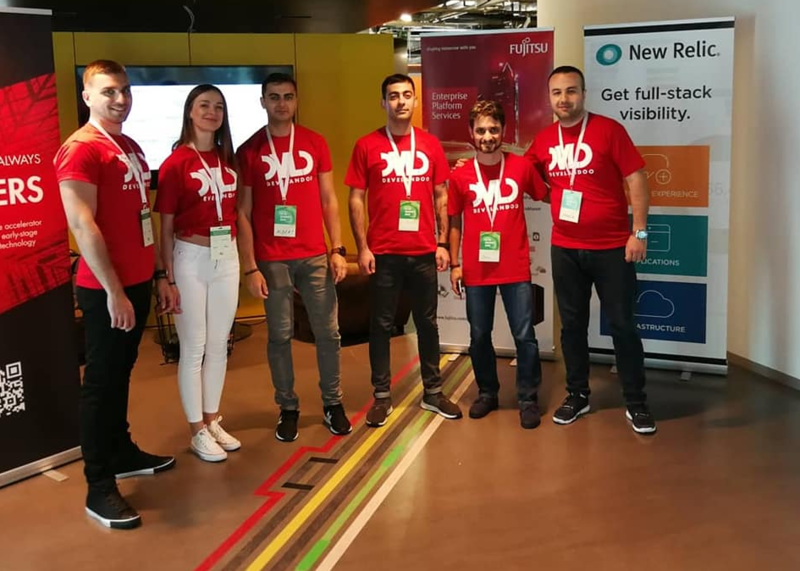 As the Director of Digital Intelligence for New Relic EMEA, MacGowan provides executive-level consulting across corporate IT organizations supporting their efforts to digitally transform their businesses. He routinely works with CIOs, CTOs, and CEOs at industry-leading companies to help them understand how to stay agile and thrive in the modern business world. Through his talk, MacGowan explored practical applications and how customers or local businesses realize the actual returns on those applications; explained through the big business of the Football World Cup. FIFA made 2.6 billion dollars in profit out of the 2014 Brazil World Cup, and that’s just FIFA alone. McGowan explained that Russia, which hosted World Cup in 2018, were expecting a 0.2 percent increase in their gross domestic product (GDP) in the second or third quarters of 2018 as a result of that huge business. ‘’FIFA makes so much money and you think, what are they doing with technology and artificial intelligence? Well, what they’re doing is they’re coming into the 21st century and introducing goal-line technology. So FIFA is going digital. But fundamentally every business nowadays is digital, right? It doesn’t matter what you’re doing. You’re using digital channels’’ MacGowan states. MacGowan provided examples of companies also considered as digital businesses. He spoke about Domino’s Pizza explaining that over 80 percent of their audience comes through digital channels. To provide an answer to the questions MacGowan posed, he gives us a few major points. The first reason is, companies want to understand the behavior of their customers. In other words, what their customers want and what their customers do normally. They understand that they can start thinking about predicting behavior. ‘’ But perhaps the ultimate goal beyond predicting behavior is to actually influence behavior. We have very interesting use case examples from our customers, where they’re looking at what actually drives people to do stuff. So perhaps, you know London’s busiest station, Waterloo, so we have a customer specialized in loyalty management like loyalty cards for stores, etc. So targeted marketing of individuals. And recently there was an issue at Waterloo Station. Trains were being canceled. They were delayed by hours. And they used the information that they have about their customers to identify those individuals that they knew traveled regularly on that route, and sent them all a voucher for a free gin and tonic at one of the local establishments outside Waterloo Station. Ok, now those individuals wouldn’t necessarily have gone out and bought a gin and tonic. But if you’re going to sit and wait for an hour and a half for your train, you’ll sure have a free bottle. Once you’ve done that one, you have another one, right? So this is, you know, understanding what drives people to do things. And the reason they’re doing that is because they want to drive demand. Demand for shirts, demand for pizzas, demand for beer, and they want to also be able to satisfy that demand’’ says MacGowan. He highlighted that everything is changing and becoming dynamic. It’s not just a technology’s infrastructure that is dynamic but it’s also the processes in the organizations and the way people work there. This was just a snippet from Neil MacGowan’s talk. If you want to learn more about the impact of AI, you can visit our youtube channel and check out videos of all our speakers’ talks.